Because not every picture needs to turn a profit, Flickr is making it easier for photographers to distribute their work with no strings attached. This week, the photo sharing site added public domain and Creative Commons 0 as possible image designations. With these licensing options, photographers can make clear that anyone can copy, modify, and distribute their work without permission, even commercially. 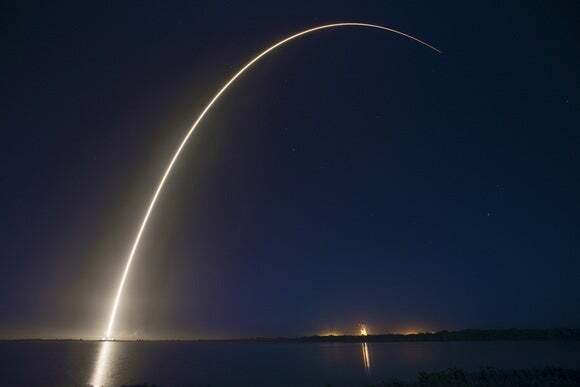 A prime example was last month’s SpaceX launch, which put a satellite into deep space orbit. Last week, SpaceX CEO Elon Musk released the launch images under a Creative Commons license, but switched them to public domain in response to requests. Until now, SpaceX couldn’t put those images on Flickr with the proper designation. As Flickr points out, Public Domain and CC0 have some important distinctions. For new photos, the former is actually a little shakier from a legal standpoint. A public domain work may not be free of copyright restrictions in certain jurisdictions, and there may be other strings attached in the form of patent or trademark rights, publicity or privacy rights, and moral rights. Flickr suggests using the public domain tag for older photos whose copyrights have expired, and Creative Commons 0 for new photos with no rights reserved at all. Flickr says the new designations are available in both its desktop and mobile versions. New photos are still “all rights reserved” by default. Why this matters: Most photo sharing services don’t bother to address usage rights at all. If you upload an image publicly to Dropbox or Google+, for instance, there’s simply no way to spell out what someone else can or cannot do with that image. Flickr has always been better at dealing with this issue—it has long offered other Creative Commons designations such as “Attribution” and “No Derivative Works”—but was missing the “no rights reserved” piece until now. Along with Wikimedia Commons, Flickr should become one of the most visible places for completely free images.